Adept at storytelling through song, Chapman’s live performances add another layer to his already dynamic music. Steven Curtis Chapman Live captures one such performance from the incredibly powerful Live Out Loud Tour. Performing many of his hits for over 2000,000 fans, the Live Out Loud Tour has been the most successful tour in Chapman’s career. The tour also featured a 20-minute multimedia segment telling the powerful true story of the lasting legacy of American missionaries in Ecuador in the 1950’s. One of the highlights of the show, this "Beyond The Gates Of Splendor" segment continues to be one of the most talked about live performances in Christian music, among Chapman fans, and throughout the industry. 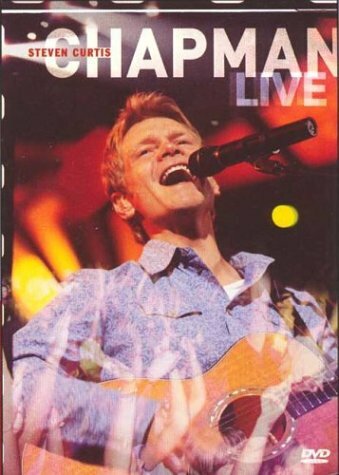 Steven Curtis Chapman Live brings back the energy and emotion of the Live Out Loud Tour to viewers while capturing Chapman’s inspiring performances of his best-loved songs.